Alpha-Stim 100 is an FDA approved prescription medical device. It is a combined micro current therapy (MET) and cranial electrotherapy stimulation (CES) device to treat pain, anxiety, wounds, and behavioral disorders in pets. Alpha-Stim works by generating an electrical wave-form that allows your pets cells to operate naturally and bring relief. The wave-form moves electrons throughout the pet's body and brain at a variety of frequencies, collectively known as harmonic resonance. The relief from Alpha-Stim is residual and cumulative, resulting is less frequent use. This modality works well with other treatment protocols and is effective as a stand-alone therapy. 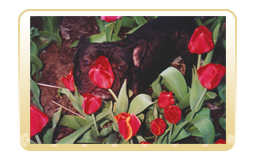 It is a safe drugless therapy that can be administrated by the pet owner at home. At Animal Health & Healing we have employed Alpha-Stim to treat chronic pain arising from injuries, disc disease, and osteoarthritis. It has helped calm our patients afflicted with anxiety and aggression disorders. 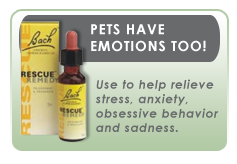 It has been shown to be effective in treating lick granulomas, feline hyperesthesia syndrome, and separation anxiety. Clients may rent the Alpha-Stim units to use at home to treat short-term problems. 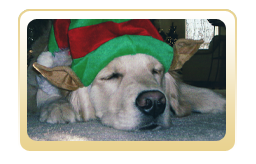 The units can be purchased by clients to treat long-term chronic problems in their pets. Alpha-Stimulation has been used worldwide since 1981. Over one hundred studies in humans and 29 studies in animals prove the positive results obtained with this holistic modality. For more information please visit www.alpha-stim.com.